I admit I didn’t do much in the past couple of weeks – potty training my 1.5-year old (who, by the way, was sick and had to visit the emergency room) consumed most of my time and energy. There’s a pile of new fabrics on my sewing desk, including new organic fleece for my soon-to-come line of organic blankets. That’s still in the making. 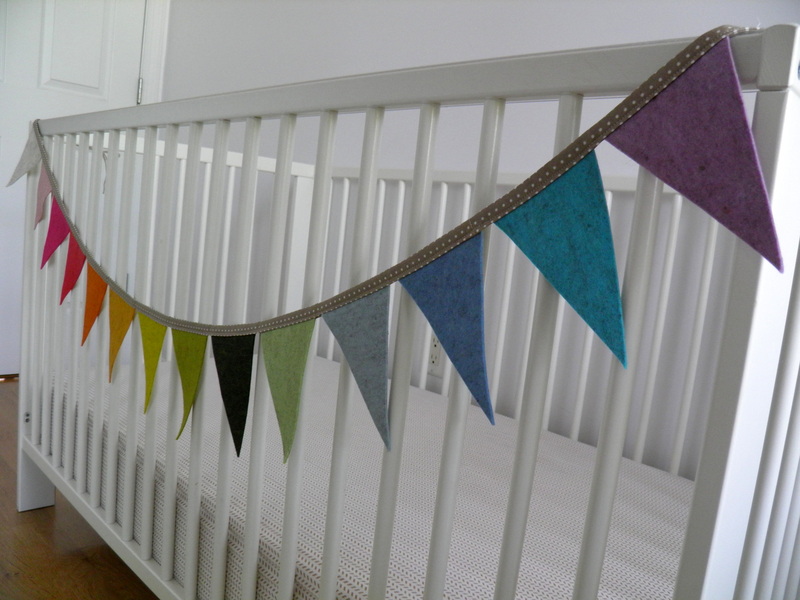 However, I managed to finish my very first flag bunting. 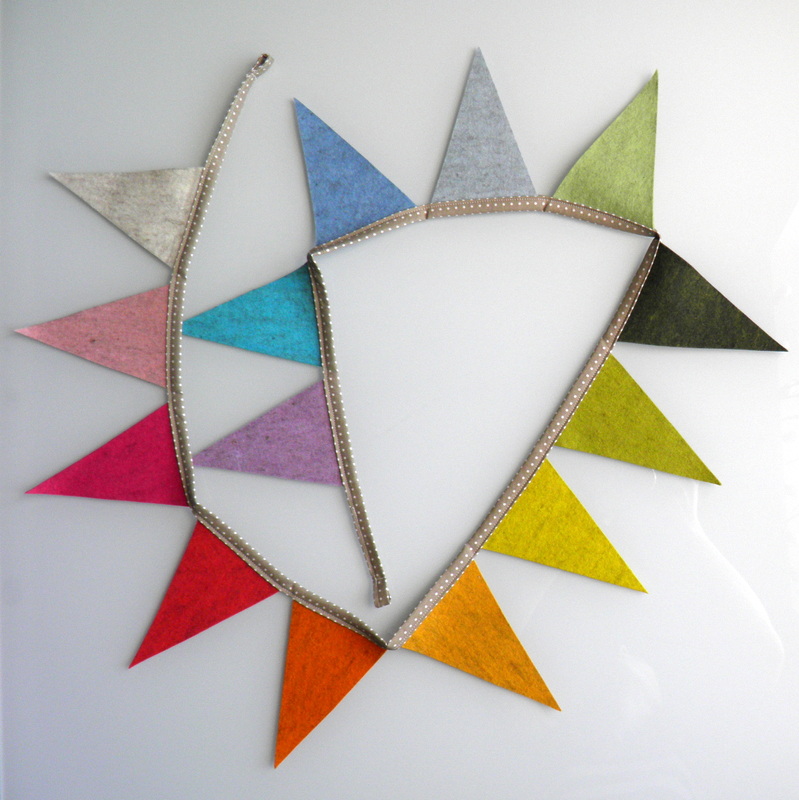 These 14 fierce triangles create one lovely and unisex nursery/children’s room decoration. It is made from thick & soft high quality European heathered felt (it’s 1.5 mm thick so it holds its shape really well). It has tons of character – uniqueness is guaranteed (and so is the über coolness). 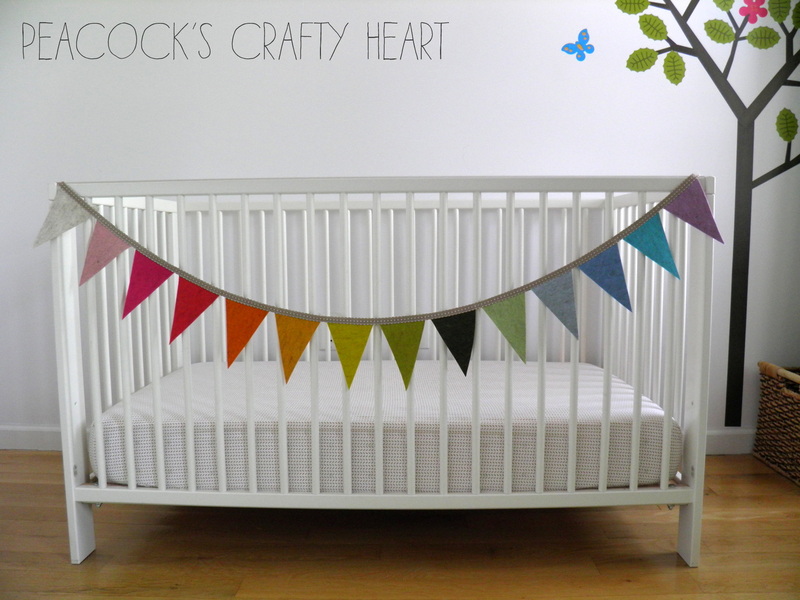 Spice up those walls, shelves, or windows and add some character to your child’s space.